The Hobby Engine Premium Label RC Excavator offers hard hat time with Hobby Engine's superb range of highly detailed, rugged construction vehicles. This scale model features nine functions that can all be operated from the transmitter and operates and works just like the real thing! The Premium Label models by Hobby Engine feature upgraded metal gearing and enough power to work with real rocks and sand! All models feature an authentic 'weathered look' for added scale realism. 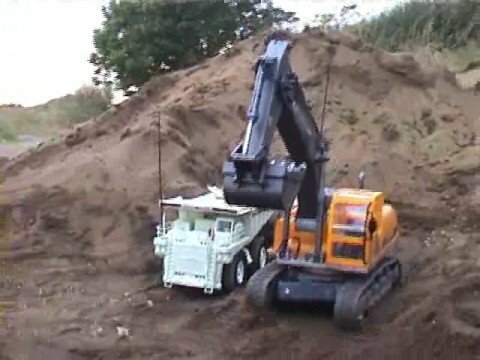 Enough power to work with real rocks and dry sand! Very speedy delivery after ordering online. Really pleased with the Excavator as well. Goes well with my Hobby Engine Mining Truck.